Figure 7: The flawed medieval ventricular doctrine. 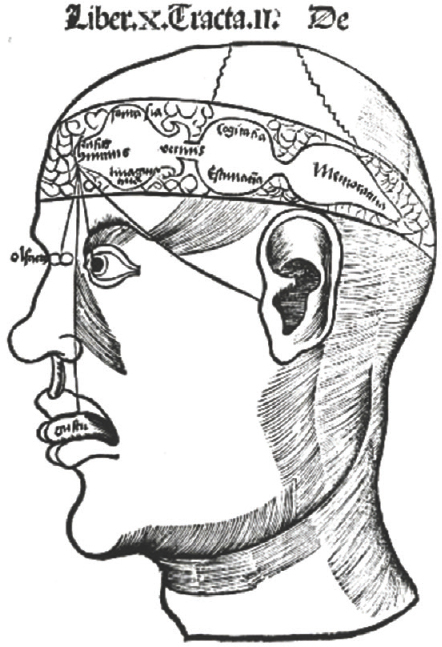 The belief was that inputs from the nose, tongue, eye, and ear go to the first ventricle which houses common sense, fantasy, and imagination. The second ventricle contains thought and judgment; memory is in the third ventricle.